Ella Clah is no longer an unsure young woman recently returned to the Navajo Reservation from a stint with the FBI; she has found her place in her tribe, her clan, and her family. She has seen the Din at their worst--and at their best--as they balance the modern era with the traditional Navajo way of life. Ervin Benally, son-in-law of the powerful Navajo businesswoman and politician Abigail Yellowhair, plans to bring satellite telephone service to the Rez. When Benally is attacked and another man is killed, Yellowhair orders Navajo Police Special Investigator Ella Clah assigned to the case. 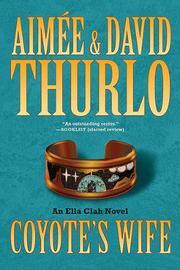 Ella is determined to find out who is behind the attacks, which include elements of Navajo witchcraft. 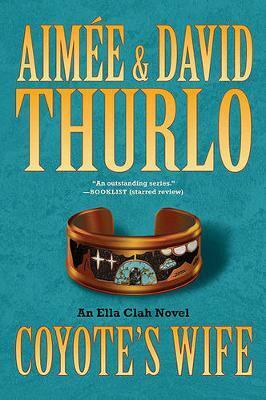 Coyote's Wife, which introduces a new source of tension in Ella's personal life, will satisfy both the returning reader and those new to this series. Aim e and David Thurlo are the authors of the Ella Clah series, the Lee Nez series of Navajo vampire mysteries, and the Sister Agatha novels. Their other works include Plant Them Deep, a novel featuring Rose Destea, the mother of Ella Clah, and The Spirit Line, a young adult novel. David was raised on the Navajo Reservation and taught school there until his recent retirement. Aim e, a native of Cuba, has lived in the US for many years. They live in Corrales, New Mexico, and often make appearances at area bookstores.